Jesus Christ is THE great and grand theme of the bible! To the eye that has been touched and anointed with the Holy Spirit, he is seen on every page of scripture. 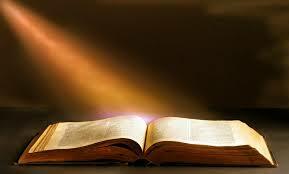 As we read the word of God every book presents us with a different aspect of the glorious Jesus. 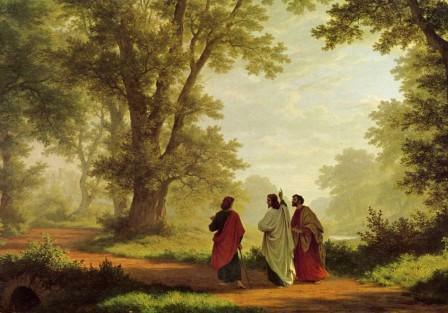 In the gospel of Luke chapter 24 we have an account of our Lord Jesus appearing to two sad disciples as they were walking from to a village called Emmaus which was about seven miles from Jerusalem. Theses two disciples of the Lord were heartbroken because they knew of ( and probably had seen) the crucifixion of Jesus in Jerusalem. They still did not yet know the wonderful truth that he was risen from the dead. The then sad disciples related to the Lord the events of his crucifixion and how some of the Lord’s female disciples had thought they had seen a vision of angels that had proclaimed that he was risen again. Then in verse x we read that Jesus Then Jesus said to them, “You foolish people! You find it so hard to believe all that the prophets wrote in the Scriptures, wasn’t it clearly predicted that the Messiah would have to suffer all these things before entering his glory?” Then we read that our Lord took them through the writings of Moses and all the prophets, explaining from all the Scriptures the things concerning himself. ( satan’s ) head. It is also very probable that he would have preached to them from the book of Isaiah, how he had died to carry in himself the sins of the world! 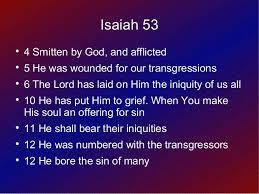 ……..(Isaiah 53: 5, 6 – He was wounded for our transgressions, He was bruised for our iniquities; The chastisement for our peace was upon Him, And by His stripes we are healed. All we like sheep have gone astray; We have turned, every one, to his own way; And the Lord has laid on Him the iniquity of us all. Perhaps he took them to David’s psalm of resurrection, (Psalm110:1). – The LORD said unto my Lord, Sit thou at my right hand, until I make thine enemies thy footstool . Then we read ( Luke 24: 28 to 32) how Jesus revealed himself to them as he “ broke bread” with them; he then vanished from their site. The testimony of these rwo disciples was …. Luke 24:32 – Did not our heart burn within us while He talked with us on the road, and while He opened the Scriptures to us? And it can be the same for us as we trust the Holy Spirit to reveal the things of Christ as we read. You cannot go far in any part of scripture but you meet with something that has reference to Christ, some prophecy, some promise, some prayer, some type or other; for he is the true treasure in the field of the Old Testament. A golden thread of gospel grace runs through the whole web of the Old Testament and Jesus glory shines clearly in the new. 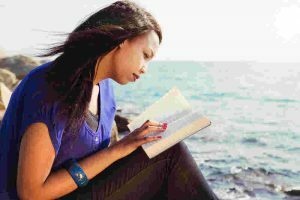 Let us all diligently read God’s precious word to find the wonderful Jesus on every page! OR CONTACT ME WITH YOU QUESTIONS, COMMENTS ETC. AT – Contact Marcus.